when i spent a semester in australia, i loved that i found myself in a country that was part of the british commonwealth — and therefore took its snack time seriously. afternoon tea wasn’t just the cup of tea itself, but a chance to sit down for an allotted rest time, and have a bite of something light and sweet with it: maybe some lamingtons, like we had that first day at university orientation; or a small stack of biscuits, as they offered every afternoon at the hostels we traveled around to. afternoon tea is not a ritual here in the states (our closest equivalent is something i believe is called “3 o’clock slump”), but i think it should be. i can’t change my country’s food culture, but there’s no reason i can’t pick a social custom to import into my own life. and this blackberry cake is a perfect way to induct afternoon teatime into my day-to-day. it’s a light, springy cake and not too sweet, but plenty fruity in flavor thanks to just a few drops of raspberry extract. our days — and life in general — have a tendency to go by so fast and furious. it’s nice to pick a time to pause, and enjoy a little something sweet and soothing. Preheat the oven to 400° F. Butter a 9-inch round cake pan and line the bottom with parchment paper; then butter the paper. Reserve 1 ½ tablespoon of the sugar and set aside. In a large bowl, using a mixer, beat the butter with the remaining amount of sugar at medium-high speed until fluffy, about 3 minutes. Beat in the egg and vanilla. At low speed, beat in the buttermilk and dry ingredients in 3 alternating batches, beginning and ending with the dry ingredients; do not overbeat. Scrape batter into the prepared pan and smooth the top. Scatter the 1 ¼ cups of blackberries over the batter; lightly press them in. Sprinkle the reserved 1 ½ tablespoons of sugar over the cake. 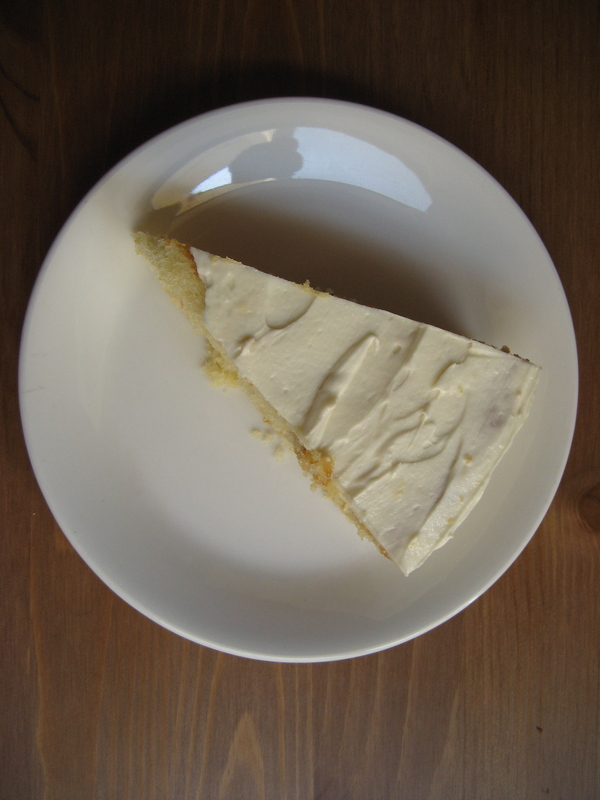 Bake for 20 to 30 minutes, or until a cake tester inserted in the center comes out clean. Transfer the cake to a rack to cool for 10 minutes. Turn out the cake and remove the paper. Turn the cake right side up and let cool completely. i should probably stop talking about the weather, because here in l.a. it keeps changing. this city is trying on different outfits: cozy and gray one week, bright and breezy another. it was only a couple days ago that the stifling heat had me sticking to my shirt. but today, the air has chilled again: the roof of my car is beaded in rainwater, and the pavement shimmers under the streetlights, which come on earlier to fight the hanging gloom. 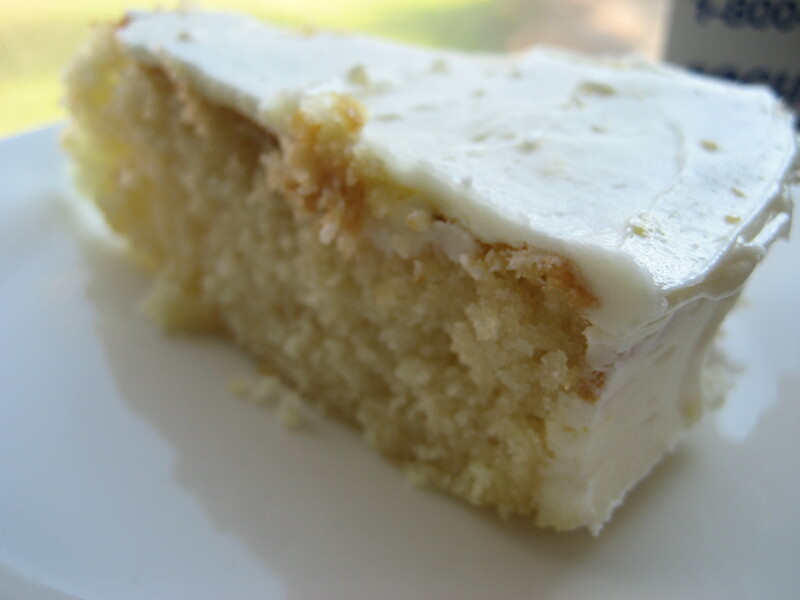 but no matter the weather, i don’t think there is a day when this lemon frosting wouldn’t fit right in – it sounds like some kind of wonderful weather phenomenon anyway. i’ve made this butter cake quite a few times since i first found the recipe. i’ve put it on repeat, you could say, and each time i’ve topped it with something new (it lends itself well to different outfits too, i guess): simple and wholesome with strawberries and cream, glossy with a slick coating of caramel, and now covered in this bright and fresh-tasting buttercream. so often, my homemade frostings taste more of powdered sugar spackle than anything worthy of gracing a delicate cake. but in this one, the lemon sings the highest notes and the taste is nothing but cool, clean, and creamy. i have it mentally bookmarked for my birthday in a couple weeks, where i think it’ll be lovely with a little bit of something pink… hopefully summer will come back around again long enough to visit the berries at the market. Beat butter, zest and salt on medium speed until lighter in color and fluffier in texture, about 2 minutes. Reduce speed to low, gradually add sugar, and beat until blended. Add the vanilla and lemon juice and beat until smooth. Do not overmix or frosting will incorporate too much air. It will be creamy and dense. Add buttermilk 1 teaspoon at a time until frosting has a spreadable consistency.